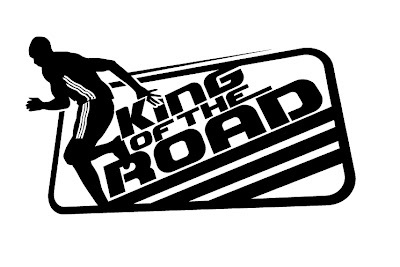 The much-anticipated adidas King of the Road (KOTR) happening on October 23, 2011 at the Bonifacio Global City launches an early-bird registration promo entitled Free Run from June 1-14, 2011. Regular registration follows from June 15 to August 31. From June 1-14 (while race slots last), the Free Run promo opens to a lucky limited number of participants who will receive a guaranteed race entry. Registration is free for every purchase of P7K worth of adidas running products while registration is at 50% off for every purchase of P5K worth of adidas running products. The Free Run promo participants will also enjoy the convenience of having their singlets and race kits couriered to their doorstep at no extra charge. There will be a limited number of 100 slots per outlet. 18) adidas Robinsons Place Iloilo. From June 15-August 31, 2011 (while race slots last), regular registration follows, which is done online via the official KOTR website: www.adidaskingoftheroad.com. Participants registered online will receive their singlets and race kits at the KOTR 2011 Kick-Off Assembly on October 10-12 at the NBC Tent, Bonifacio Global City. Held in five countries across the region, the adidas KOTR will culminate in an ultimate championship race in its first ever host country, the Philippines, on October 23, at the Bonifacio Global City. Event categories and race fees are Php1, 050.00 for 5km, Php1,300.00 for 16.8km, and Php1,050 for 21k. For news and updates on KOTR, visit the adidas Philippines Facebook Fan Page. You may also visit adidas Running for more information.